Many different species of shrubs produce berries or berry-like fruits, so identifying them accurately can be challenging at times. 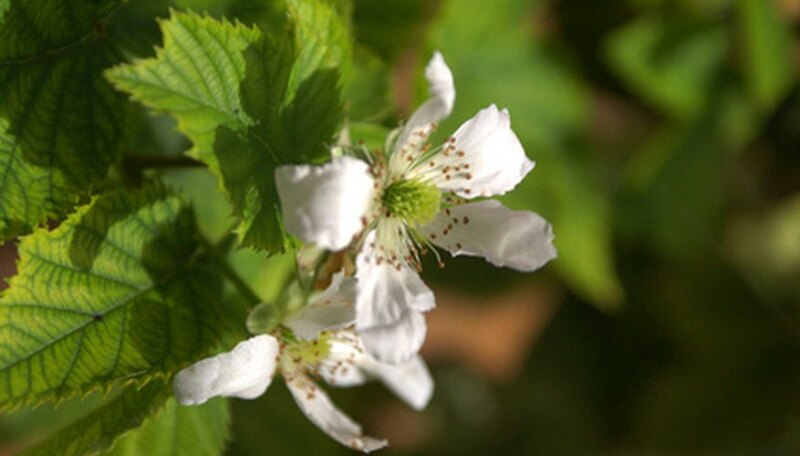 The most common berry-producing landscape shrubs include blackberries and raspberries, currants, elderberries and Viburnum species. Identifying the shrub species is important to understanding how to properly care for the shrubs, as well as to know whether the berries are edible, inedible or even poisonous. Whether you’re attempting to identify a shrub with berries that’s growing in your yard or in the wild, you’ll need to study a number of characteristics in order to determine the correct species. Identify shrubs with berries by their size. The black twinberry (Lonicera involucrata) and red currant (Ribes sativum) shrubs are 5 to 7 feet tall, while the thimbleberry (Rubus parviflorus) is only 3 to 6 feet tall and the stink currant (Ribes bracteosum) reaches only 3 feet in height. Study the size of the leaves to identify the berry-producing shrub. The inkberry holly (Ilex glabra) has evergreen, lance-shaped leaves that are leathery and about 1 ½ inches long, while the Amur honeysuckle (Lonicera maackii) has deciduous, oval to elliptical leaves that are glossy green and 3 ½ inches long. The mapleleaf viburnum (Viburnum acerifolium) has maple-like leaves with toothed edges, three lobes each and velvety, hairy undersides. Notice how the leaves are arranged along the stems to identify the berry shrubs. 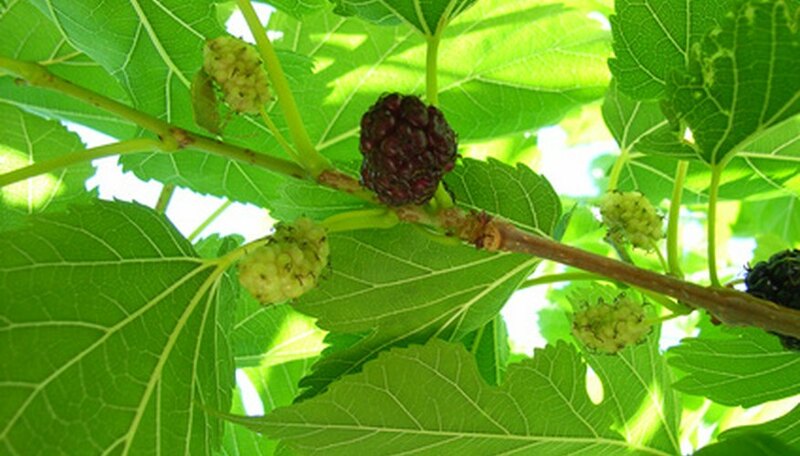 The white mulberry (Morus alba) has glossy dark-green leaves that are arranged in an alternating fashion along the stems, while the highbush cranberry (Viburnum trilobum) has bright-green leaves arranged opposite one another in pairs along the stems. Look at the flowers to determine the shrub species. The golden currant (Ribes aureum) has fragrant, golden-yellow, bell-shaped flowers, the highbush blackberry (Rubus alleheniensis) blooms in showy white flowers that are nearly an inch wide, and raspberry shrubs have white to pinkish, 1-inch-diameter flowers with five petals and five sepals in each blossom. Identify the shrubs by looking at the berry color. The sapphire berry shrub (Symplocos paniculata) produces sapphire-blue berries in fall, the elderberry (Sambucus candadensis) bears large clusters of deep-purple fruits, the northern prickly ash (Xanthoxylum americanum) produces small reddish-brown berries from August until October, and the inkberry holly has tiny black berries in September through May. Also look at the berry formation to determine the shrub's identity. 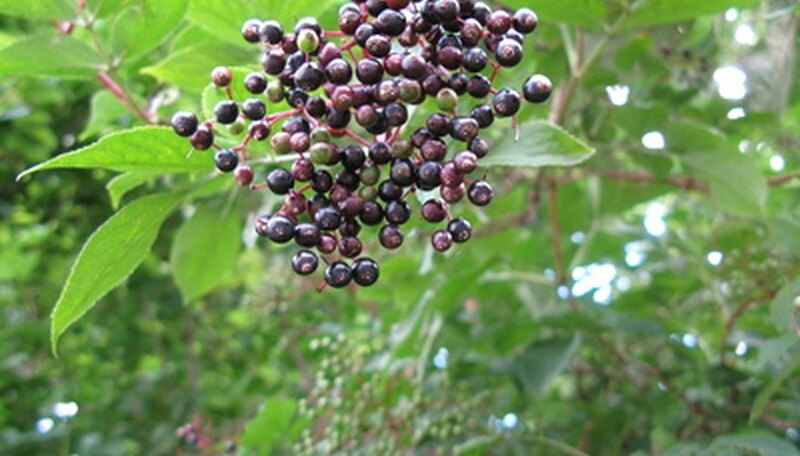 Some shrubs, such as the red currant and honeysuckle shrubs, produce actual berry fruits, while others have berry-like fruits that are actually aggregates of tiny drupes, like blackberries, raspberries and elderberries. 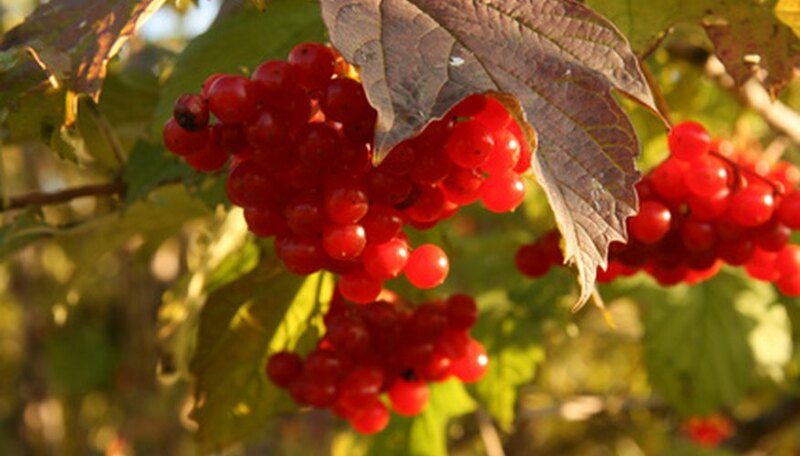 Don't mistake the red currant shrub with the northern prickly ash, both of which produce red berries in mid- to late summer that persist through the fall. 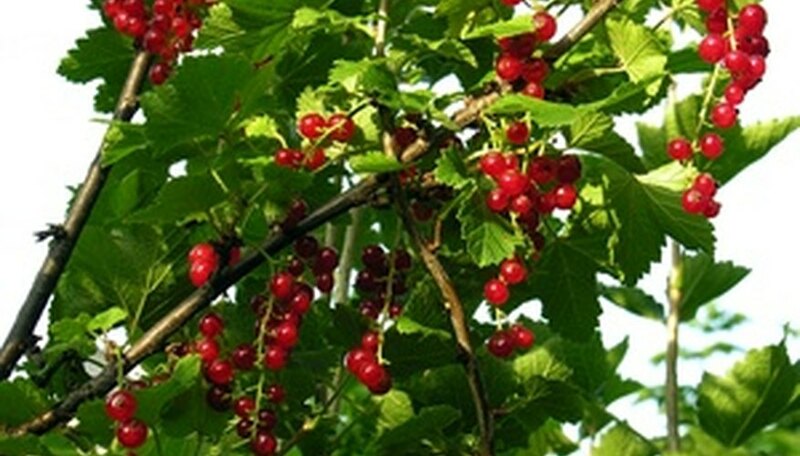 The red currant grows to only 8 feet tall, while the northern prickly ash can grow up to 25 feet in height. Unlike the red currant's simple leaves, the northern prickly ash shrub has compound leaves comprised of five to 11 toothed and egg-shaped leaflets.